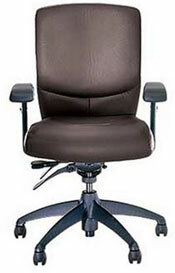 Because of our absolute commitment to quality, ROF supplies new computer chairs from only the best manufacturers. All of our new computer chairs are made with only the best materials and to the highest standards. We also carry brown leather office chairs and black leather office chairs to meet the nationwide need for this popular piece of furniture. Rest assured that when you buy new computer chairs from ROF, you get not only the best in furniture and computer office chairs and computer desk chairs, but also superior customer service.